One of the most common problems for the modern computer user is that of disk space. It is a challenge that faces all of us regardless of whether we are a home user, small business or multinational. We all collect data by the gigabyte and at some point, we run out of places to store it. 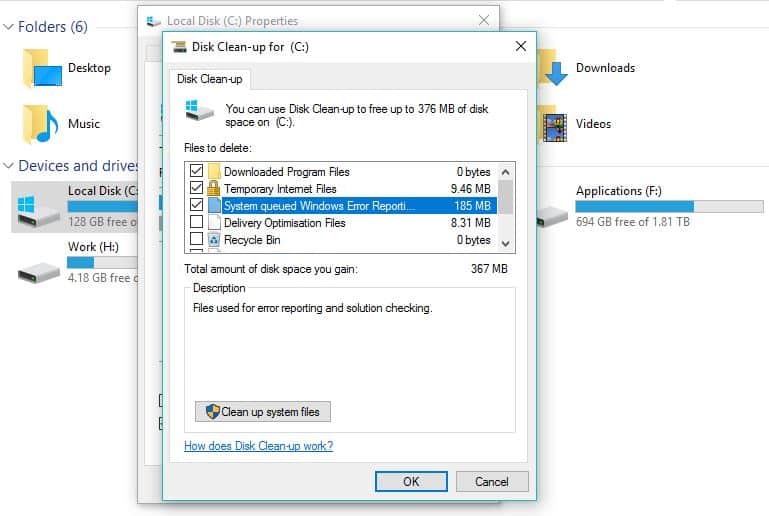 In this week’s most common computer repair requests we tackle the issue of freeing up disk space in Windows 10. If you are running out of disk space, you have two options. Buy more or larger disks or get rid of some of that data. Which way you go depends on your personal situation but I will show you how to clear out some of that data as most of you will know how to attach another hard drive to your computer. Buy a disk from us at Dave’s Computers in Hillsborough and we can fit it for you anyway. Freeing up disk space in Windows involves some housekeeping of files and folders. Windows 10 is better than ever before at managing resources but it still leaves a lot to be desired when it comes to cleaning up after itself. That’s why these computer repair tasks have to be run on a regular basis. While not repair per-se, they are preventive measures that can avoid needing a repair so are well worth doing. First thing to do is perform a disk cleanup. Right click a hard drive and select Properties. Check everything in the center box that uses over 25MB of disk space and select OK. Confirm when prompted. Select Disk Clean-up again and this time select Clean up system files in the next window. Check everything in the center box that uses significant disk space and select OK. Confirm when prompted. Repeat for every hard drive you have on your computer. Note: You only get the Clean up system files option on your OS drive. Depending on the last time you did this and the last time you performed a significant Windows upgrade, this could clear a couple hundred megabytes of space or a couple dozen gigabytes of space. The more we use our computers, the more junk we collect. Some of that junk will be in the form of programs. Again, not exactly computer repair but more essential preventive maintenance. Right click the Windows Start button and select Programs and features. Work your way through the list in the new window to remove any programs you no longer use. Highlight a program and select Uninstall/Change from the gray menu bar. Follow the uninstaller to remove the program. Rinse and repeat until you only have the programs you use regularly left on your system. Windows System Restore is a great idea but is also a resource hog. Before you know it the recovery file it creates could be 200-300 gigabytes in size. Somehow they make themselves larger than the files they are backing up which means if left unchecked they could be taking up a lot of hard drive space. 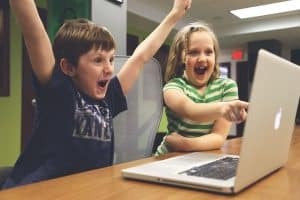 System Restore is an essential computer repair resource so we don’t want to turn it off altogether. What we want to do is get it under control. Right click the Windows Start button and select System and Security. Select System and then System protection. Select Configure in the new window. Check Disk Space Usage and make sure the allocated space is sensible. Around 5% is average for Windows 10. Reduce space allocation if yours is set larger than 5% using the slider. While I wouldn’t suggest it, you can turn off System Restore completely if you need to save space. Now we have the basics covered, we need to dig a little deeper in order to save more disk space. For this we will need a tool. I like SpaceSniffer. It’s free, simple and easy to use. Download and install SpaceSniffer or other disk space tool. Run the tool and let it analyze your disk space. Look at the largest files and assess whether you can get rid of them or not. As a general rule, if the file isn’t part of Windows, it will be safe to delete it should you need to. Don’t just hit delete though otherwise it could cause more problems. Find out what program the file is associated with and delete that program if you haven’t already. If you need the program, see if the file is a cache or download resource. Those can usually be deleted without too much trouble. Use common sense in deciding to delete files and make sure you have an idea what the file is before removing it. Finally, we move onto removing other files that Disk Cleanup didn’t touch. Annoyingly, tools built into Windows will not remove temporary clutter from other programs. For that we need another neat tool and that is CCleaner. There are other disk cleaning programs around that you might prefer to use and that is fine as long as it gets the job done. 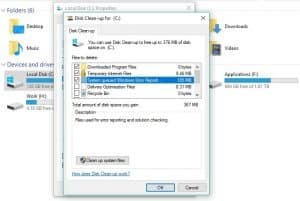 Download and install CCleaner or other disk cleaning software. Select Cleaner if it isn’t already selected, then Analyze. Select Run Cleaner once analysis is complete. Select Tools and Duplicate Finder. Select file types and disks to search then select Search. Delete any files not associated with Windows or drivers. Select Registry from the left menu. Select Scan for Issues and Fix selected issues and confirm deletion. By the end of this process you should have cleared out all the junk from your computer and freed up a significant amount of disk space. If you have deleted everything you can live without and still have a space issue, now really is the time to consider buying a new or larger hard drive to store it all! The computer repair team here at Dave’s Computers use all of these methods and more to free up disk space for our customers. I hope it works as well for you as it does for us.